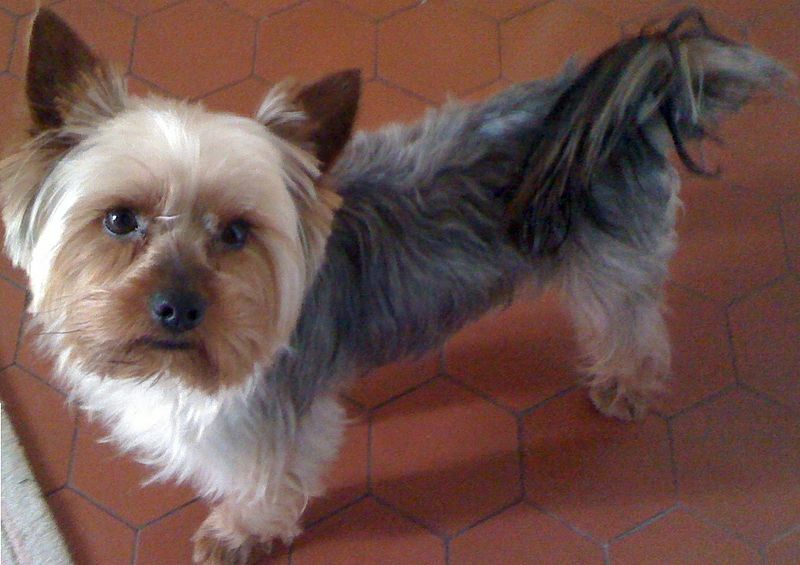 Home » Pedigree and Breeders » How much does a Yorkie and Teacup Yorkies Cost? How much do yorkies cost with papers? In order for a dog to be considered purebred, his lineage must be documented through a recognized breed registry. In the U.S., the most well-known, reputable, and popular breed registry is the American Kennel Club. Other breed registries exist, but none is as selective as the AKC. If you are searching for a Yorkie that is pedigreed, then finding a breeder with AKC registered puppies is the first step. AKC registered puppies are undoubtedly the most expensive out there, but that’s not to say that you cannot find a healthy, loving companion for a lesser price that is not as expensive as a true purebred. The cost for a purebred Yorkie with AKC registration varies drastically based on the many factors below, but on average, an AKC licensed breeder will charge around $1200 and $1500 and up per puppy. Additionally most breeders request a non-refundable deposit (of around $200-$300) during the application process. The $10,000 price tag mentioned above is usually unheard of for a typical person looking for a companion animal. Usually, this price tag is only associated with the most elite bloodlines that will be used in champion-line breeding or as a show dog in the most exclusive competitions. How much do yorkies cost without papers? A pet quality pup will cost you $300 – $800 and up. One of the best ways to spot a backyard breeder is based on the price of the puppy. 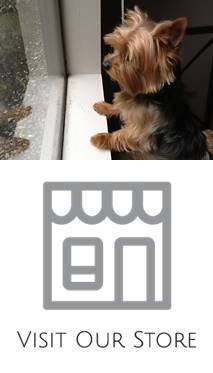 While reputable AKC breeders charge around $1200 – $1500 for a typical companion Yorkie, backyard breeders usually range on the lower end and are always more than willing to negotiate on price if they feel a sale is likely. Even if you are looking for a pet without any papers, be sure to go with reputable breeder who does not cut any corners when it comes to puppy’s health. Since Yorkies are prone to many health issues you want to be sure you are getting a healthy puppy. Paying a little more upfront will save you more in the long run in veterinary bills. If you aspire to own a Yorkie and wish to avoid disreputable breeders, but the price is a little too high, consider rescuing a Yorkie. Whereas you may come out several thousand dollars to purchase a Yorkie from a breeder, respected adoption and rescue organizations instead charge an adoption fee that can range from as little $100 to $800. While it would nice for recue organizations to simply give the dogs away to good homes, they of course have to cover their operating costs, facilities, and supplies. 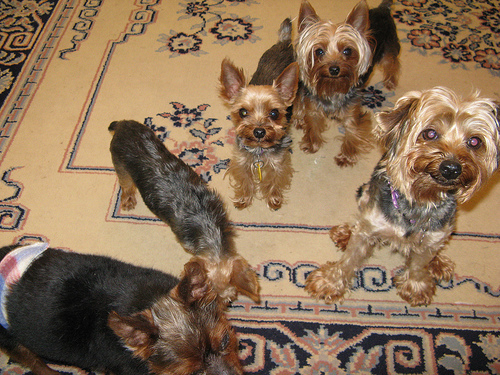 Read more here about finding a Yorkie for little or no money. Breeders often use the tagline “teacup” as a means to charge a higher price for a puppy, but in actuality, you should pay less for this undersized dog because it does not conform to the breed standard and will inevitably cost you hundreds (if not thousands) of dollars in vet bills. Online breeders attempt take advantage of those who are unaware that teacup Yorkies are not a true breed of dog, and can charge upwards up $2500-$5000 for these miniature pups. If you are in search for a petite Yorkie, do your research and find a reputable breeder—if they use the term “teacup”, it would best to avoid them and go with a breeder who acknowledges the health risks associated with breeding tiny dogs. You will be able to find a smaller Yorkie that still conforms to the breed standard. Just remember that anything smaller than 4 lbs means the puppy is likely inbred, and this lack of genetic variation can lead to a suppressed immune system, physical mutations, and behavioral problems. Bloodlines: The heritage of your Yorkie will be the number one determining factor of his price. Sought-after breeders customarily have several dams and sires that they breed on a regular basis, although it is not uncommon for them to fly a specific stud hundreds of miles to breed with a dam. AKC Champions are often used for breeding and, of course, puppies of these award-winning dogs will have a much higher price tag, sometimes making the difference between a dog that costs $1000 and one that costs $10,000! Gender: Typically, females cost more than males. This is usually because females are more in demand than males, but often, people prefer females for the prospect of breeding. However, most breeders have a spay/neuter contract, so breeding would be out of the question anyway. If they are from the same litter, the typical difference in price between male and female can be from $300-$500 (although some breeders charge the same amount). Coat: The AKC only recognizes 4 color combinations in the breed standard, and the coat must be glossy, fine, and silky in texture. If your puppy’s coat is coarser, then he might be for sale for a less expensive price. 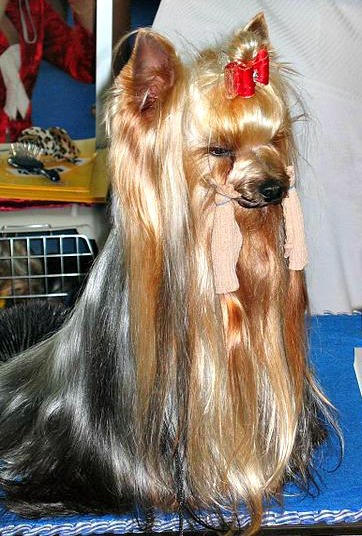 If, however, your puppy’s locks would be the envy of Hollywood celebrities, rest assured you will pay for it! Size: Although the breed standard calls for the Yorkie to be between 4-7 lbs, some breeders often try to sell smaller Yorkies for a higher price because they are in high demand. On the other hand, if you are interested in participating in events such as agility courses, Yorkies on the higher end of the scale can be a better option (and fortunately will be less expensive because they are not as high in demand). 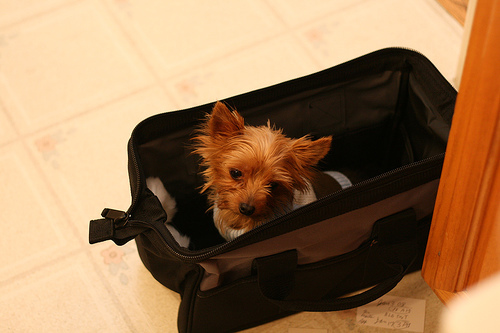 Unless you are purchasing a Yorkie from a breeder within a day’s drive, you will likely have to deal with the additional cost of transporting your Yorkie home to you. Most breeders would prefer that new owners come in person to their facilities to personally meet their pup and transport the new addition home themselves, but of course this is not always possible. If the breeder is a significant distance away and needs to be transported by air, you are looking at least another $300 dollars in cost. If the animal can be driven, most breeders will determine a price based on mileage. If your breeder does not offer transportation services (such as arranging logistics or driving the dog themselves), and you are unable to make the trip, you can hire a pet transport company, which is not an inexpensive service: you will be looking at a minimum of $200, but likely this number will reach closer to the thousand dollar mark (and beyond!) based on varying factors such as land vs. air, cost of gas, length of trip, insurance, and other fees like supplying crates and health certificates. Although you may think that breeding dogs would be an excellent way to make money, breeding dogs is a very expensive occupation, and many breeders hardly break even after the cost of veterinarian bills, immunizations, supplies, food, facilities, and medical costs is added up (in fact, the majority of Yorkie dams require C-sections, which cost around $2000). Regardless of the money involved, many unskilled and inexperienced people breed dogs to make money. These backyard breeders either try to sell their puppies online (so they can avoid having buyers come to their facility), or sell direct to pet stores. AKC licensed breeders have a contract that will not allow them to sell to pet stores. Many (if not all) backyard breeders advertise dogs that “have papers” or are “registered,” but before you pay, be sure to inquire about the registry and see the registration form with your own eyes. If you’ve ever heard the phrase “there’s no such thing as a free lunch,” keep in mind that the same idea applies to buying a Yorkie. You may see ads online for free Yorkies, or for puppies that only cost a couple of hundred dollars, but rest assured that these dogs are part of a scam operation, or are very sick. A healthy, breed standard, AKC registered Yorkie will likely never be free, so be sure to do your homework to ensure you are confident about your purchase. Yorkies are certainly not inexpensive to buy, and owning any breed of dog comes with a lifetime commitment of vet bills, food, grooming, vaccinations, toys, and training, among other costs. Be sure you are ready to not only come out the initial cost to purchase your Yorkie, but also to commit to 12-15 years of providing your dog everything he needs before bringing him home. i love yorkies and was trying to see the reasonable prices for them. Honestly don’t know that site and haven’t heard anything about them but I am sure that if you search online you can find reviews. Anyways I always recommend friends to adopt before buying. There are many dogs having a hard life. I think $1000 is reasonable for a teacup yorkie. Breeders who are asking $3000 are ridiculous!! i have a really good question. i helped birth two healthy Yorkie boys. they are purebred and will naturally have there tongue slightly hanging out like there mother. I have grown fond of the pup that is now 6 weeks old, however her price for one is 2500.00…now IMHO i feel that is very steep seeing as i can get a king charles cavalier between 1200 and 2000 and if your aware, those are pricy dogs. The question i have is, is this yorkie worth the 2500? no papers to show it pure bloodline either, i simply know from seeing it first hand. 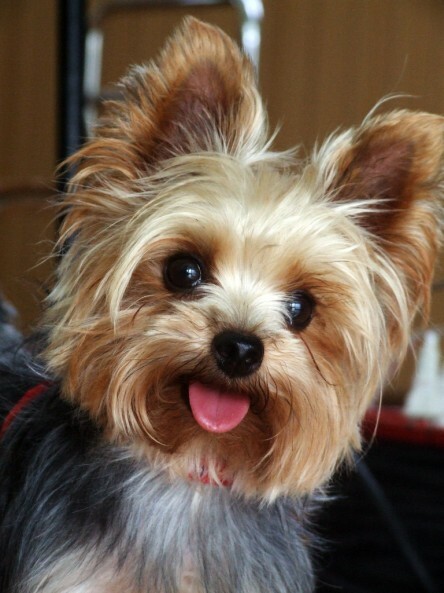 Do not buy a yorkie with any noticeable defects; tongues hanging out, really dripping eyes, huge ears, really short nose or a curb in the back, or nothing under 4lbs, etc. 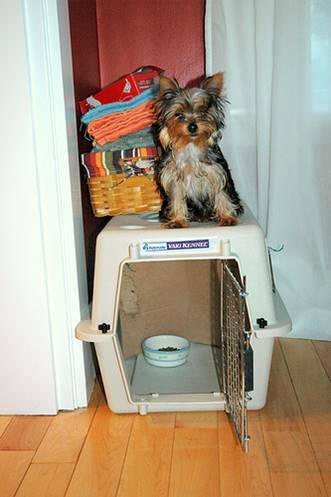 There many other items to watch for when viewing for a yorkie. When searching to buy a dog out of state always request video(s) and current pics in all angles of the pup. Ask health condition of the parents, ask to see picture of the parents in all views and view their pedigree. Even tho parents are small their are chances the pup can grow larger then them. Always look up the breed standards, ask questions, even a AKC breeder can sell a non-confirmation pup but they should inform you and the price should be lower. No registration papers should be sold with the puppy if it is not within the yorkie standards. You can purchase a pet quality puppy for 300 – 1500.00 depending on the quality and what puppy touchs your heart strings. The reason to get registration papers is to show or breed so if its a pet dont bother about them. Thanks a lot for sharing this very useful information Corrine! It will really help our readers.